I love chorizo, and I am honestly baffled when I meet someone who doesn’t. When I ask people what they don’t like about chorizo, they often say it is because it is greasy. I’ll admit it can be greasy at times, but good chorizo shouldn’t be extremely greasy. There's also an assumption it is spicy. Now spice level is relative, but chorizo is generally no spicier than a traditional peppery American breakfast sausage. What chorizo is at its best is slightly tangy, a little rich and full of the traditional Mexican aromatic flavors. 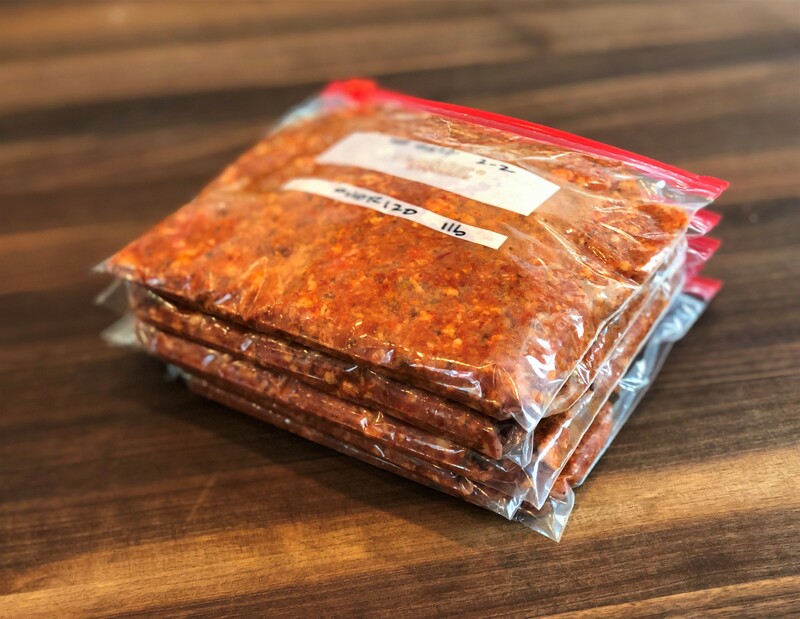 If you have never tried chorizo, I should point out that there are different styles, and in this blog I am specifically referring to Mexican chorizo. Mexican style sometimes looks like it is in a traditional sausage casing but it isn’t; it's actually loose when you open the package and it needs to be cooked like breakfast sausage. Other countries make chorizo too, especially Spain. The Spanish style of chorizo is quite different, and you can’t substitute one for the other. Spanish style is stuffed in a casing and is cured; it’s more like pepperoni. It does have some similar flavors but is already cured or cooked. It can be sliced and eaten and is used in cooking much like you would use Andouille sausage. The Spanish style will hold its shape when its cut and is used to flavor dishes like Paella. When you are cooking with it, think of Mexican style like American breakfast sausage and the Spanish style more like pepperoni. If by chance you might be a chorizo naysayer, let's address some of your objections. 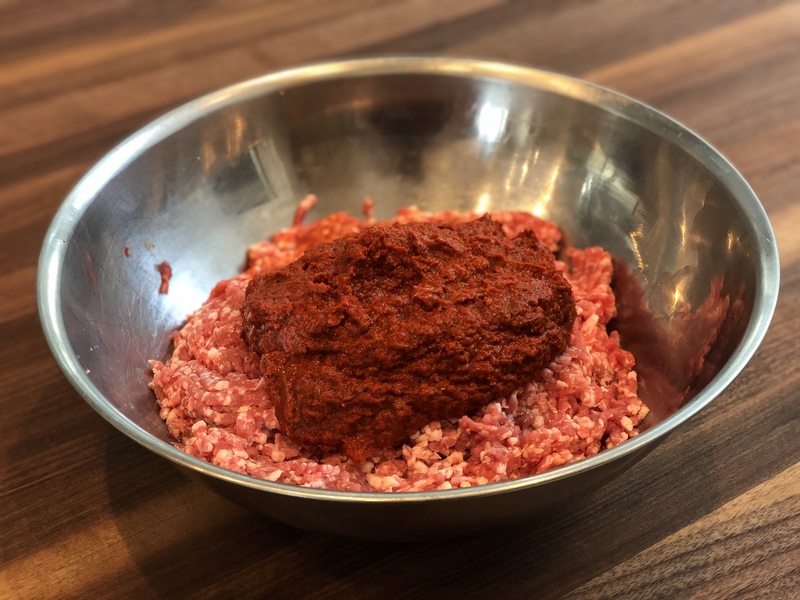 If you enjoy ground pork we can stop right there, chorizo is no greasier than ground pork when you make it yourself and the fat in chorizo isn’t an accident! The fat isn’t because it is an inferior or cheap product. The role of fat in chorizo is to bring the spices to life in the sausage. This very aromatic sausage is full of spices, herbs and chilis, and dishes with lots of spices like a fattier environment. That's because spices are fat soluble, and the fat helps to bring to life the flavor of the spices but it also balances them. Spices without fat can feel very harsh. I’m personally teaching a class as a part of our “Cook the Book” series, and I will be featuring Samin Nostrat’s cookbook and New York Times number one bestseller Salt, Fat Acid, Heat. 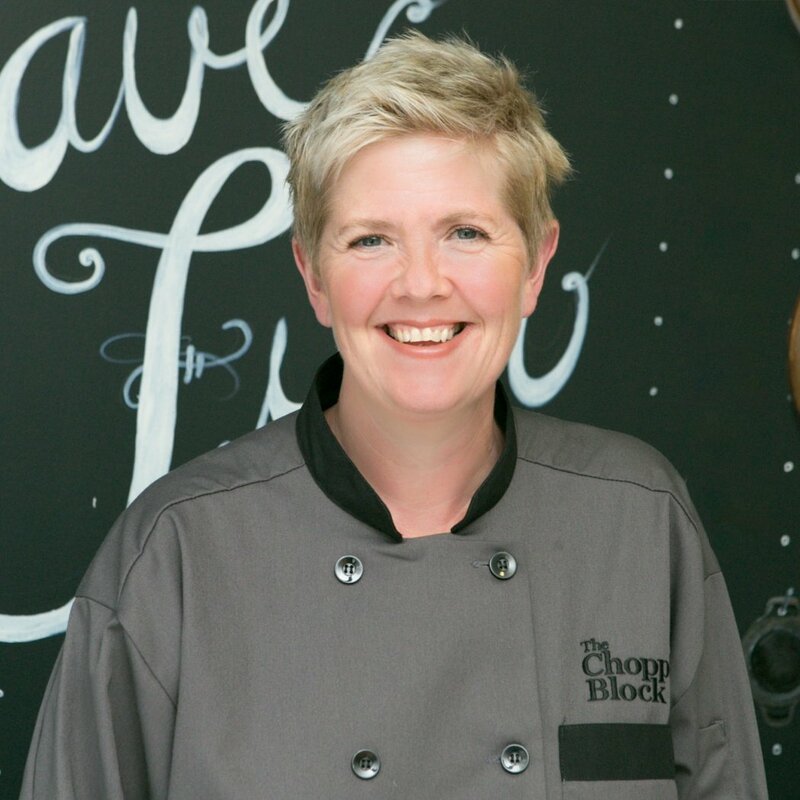 If you are interested in learning more about the concept of these four critical elements of cooking, you should check out these upcoming classes on Saturday, March 23 at Lincoln Square and Tuesday, March 26 at the Mart. Chorizo also has vinegar in it. Vinegar is a underutilized and misunderstood ingredient that I will be discussing in this class but that we touch base on in many of our classes: Culinary Boot Camp and Flavor Dynamics are two of my favorites. So another of the reasons why Mexican chorizo is so flavorful is that it hits all the senses! 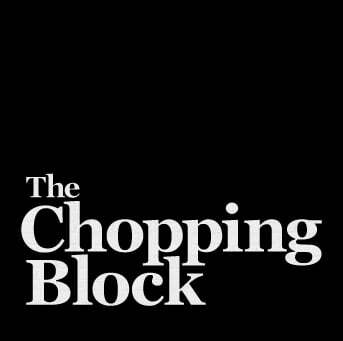 Now I'm not judging, but if you find ground pork too greasy, you do not eat pork or you simply want a more healthful version, you can substitute ground chicken or turkey for the pork in this recipe to reduce the fat. Being able to make this choice may be reason enough to make your own chorizo! You can even veganize this recipe too: take a pound of firm tofu and freeze it. Thaw the tofu and you will find it crumbles nicely, mix the paste I am about to explain into the crumbled tofu and sauté in a little oil. Bam: vegan chorizo! The spice factor is totally up to you. This recipe is truly not a spicy one, so if I were to make an adjustment it might be to make it spicier. 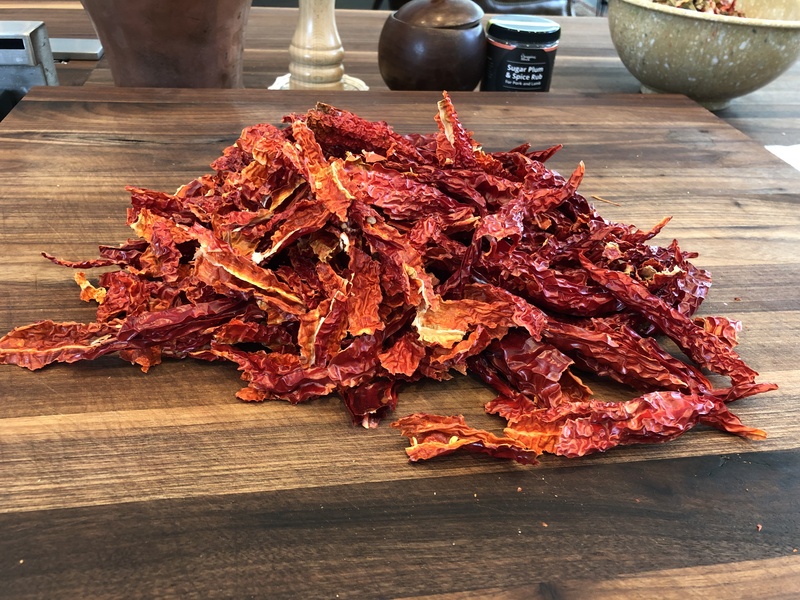 I can do that by using a hotter dried pepper than the ones I used, but I really prefer the brightness of the New Mexican chilis I used myself. If I were to make this recipe spicier, I might add a little cayenne, jalapeño or chipotle pepper to the seasonings. Cover the chilis with boiling water, just enough to cover and let sit until peppers are soft. 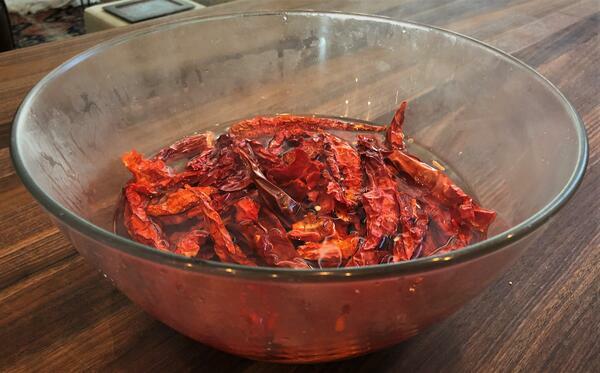 Remove the peppers from the water and put into a blender. Keep the liquid in case you need to add a little to the chilis when you are pureeing them, sometimes the mixture is so thick it won’t process properly and needs a little extra liquid added to thoroughly process in the blender. Put of all the remaining ingredients into the blender with the chilis and puree. 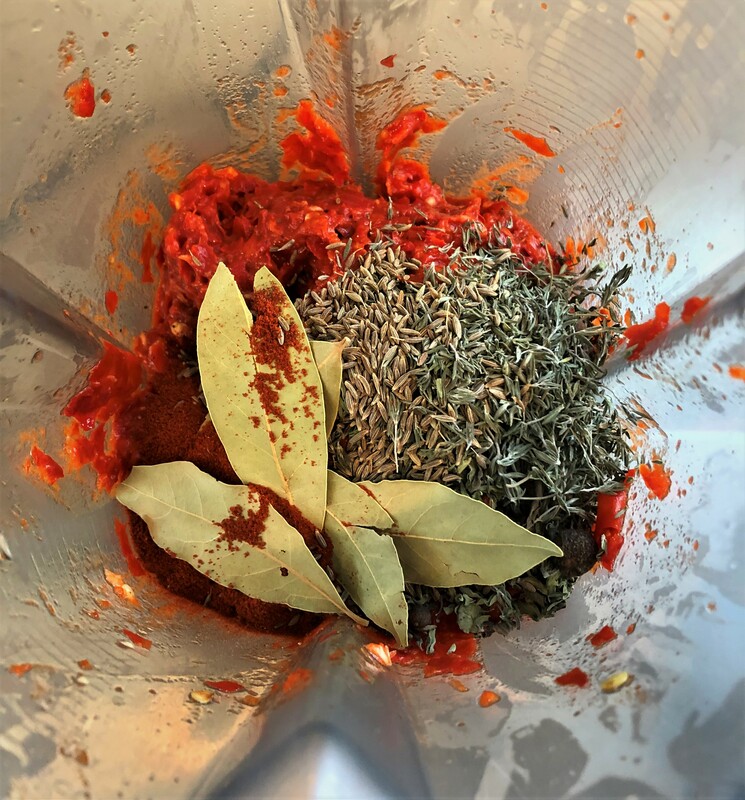 If your blender isn’t very high powered, you maybe want to grind your dried spices in a mortar and pestle or coffee grinder before you add them. Once the spices are pureed with the chiliis, add that mixture to the ground pork and mix. I made 5 pounds because I figure I might as well make a bunch and freeze it, that way I have some whenever I need it. Some of my favorite chorizo dishes are roasted carrot and chorizo tacos, chorizo and avocado omelettes or chorizo and black bean stuffed empanadas. 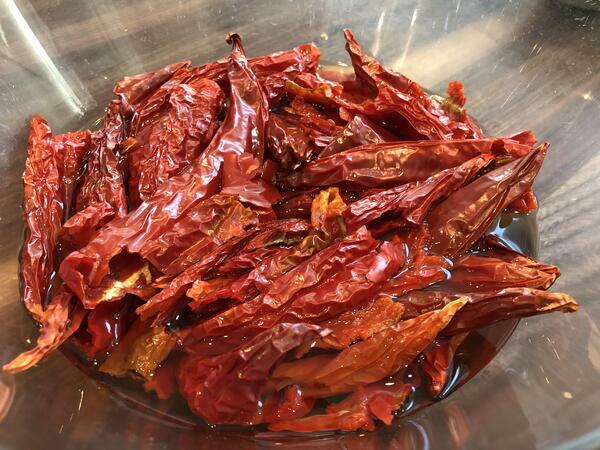 It's also great on nachos, with scrambled eggs, as a base for chili or in your queso!